Since The High Heel Mysteries, I haven’t read a cozy mystery by Gemma Halliday herself (but I have read several from Gemma Halliday Publishing). What a great one to come back to this author through! 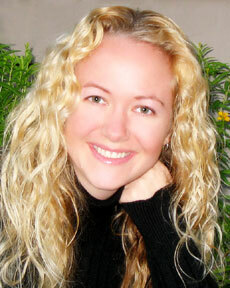 It was also a great introduction to co-author Kelly Rey. 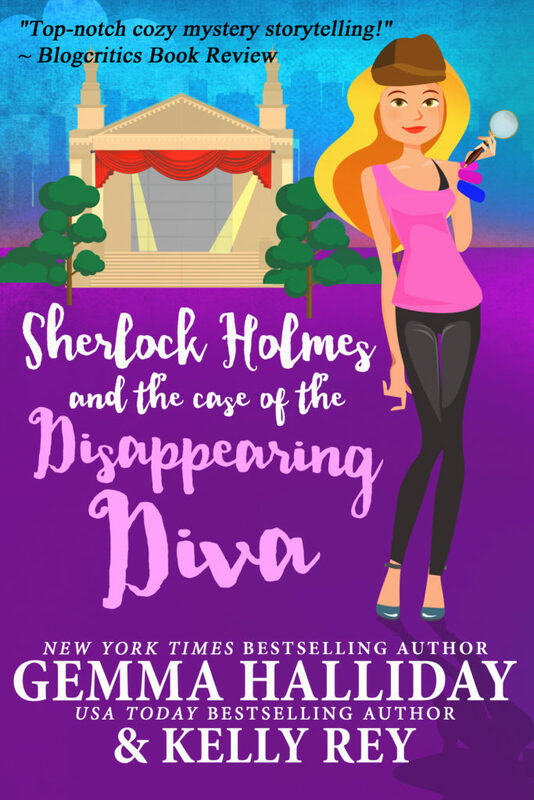 Sherlock Holmes and the Disappearing Diva is Book 2 in the Marty Hudson Mystery series. This definitely works as a stand-alone, though. I did not read the first one and never felt I was missing any vital info. Perhaps I will read Book 1 just to find out what really got Irene and Marty to create the fictitious Sherlock Holmes Detective Agency that is taking on very real cases! There are some fun characters in this series. The protagonist, Marty is really likable. She’s funny, self-deprecating, loyal to her friends and determined. Her quirk is attending classes and courses at Stanford, where she works in a campus bookstore café. The range of classes is interesting and provides a valid rationale for her having quite a few random bits of knowledge, including how to pick a lock. Best friend Irene is sassy, bold and clever. She’s also an incredibly wealthy venture capitalist from who Marty refuses to accept any money to assist with the broken down home her great-aunt left her. Irene happily leads Marty on some wild rides. Marty’s neighbours are on the older side and the ladies are preoccupied with starting a relationship with Mr. Bitterman despite his disgusting cooking concoctions… fish eye casserole!??? Ugh! Apparently his ‘good’ hair and substantial pension make him a very eligible, even if ancient, bachelor. These folks lend some excellent comic relief to the story. The mystery itself is very well-plotted. There are well-sketched suspects with valid motives and substantial opportunity. Useful clues and red herrings abound. I enjoyed trying to sift through it all. I had my suspicions about the real culprit but couldn’t figure out the motive. The fact that the agency is called Sherlock Holmes Detective Agency. The love polygon with Mr. Bitterman at the centre. Just how many old ladies have the hots for this octogenarian? The romance is on a slow burn and there is some decent chemistry between Marty and the Medical Examiner, Dr. Watson. The fact that the M.E. is named Watson. The friendship between Marty and Irene. I wonder how long the ruse of Sherlock can play out. This is only Book 2 but already Marty is pretty frustrated with keeping up the pretence of being a real licensed detective. I hope Marty’s frustration over this issue is not a recurring theme in subsequent instalments. Overall I enjoyed this mystery and look forward to reading more in the series. I want to know just what case Sherlock Holmes will take on next! Disclaimer: I received an eARC of this book to review through Great Escapes Book Tours. All opinions expressed are my own. I give this book 4.5/ 5 espresso shots. Reblog: Terry Pratchett Read-a-Thon Reminder/Last Chance to Join this Month! Thanks Jody. Love me some Gemma as well! Lol. Did you read any of the High Heel Mysteries? Yes but not all of them, I have gotten myself so wrapped up into the paranormal, vampire and shifter books, I slacked off on my cozy mysteries quite a bit lately. But I go back and forth so much I can’t even keep up with myself, lol! Hahaha. Sounds like varied and entertaining reading! Continue to enjoy!! This sounds like a fun cozy mystery. Great review Nina. Hahahahaha. Calm down indeed. The cases will come I’m sure! Great review, Nina! So good to see your posts again and as usual, not thru notifications. I did a spotlight on this so very pleased to see someone really enjoyed.